New bipartisan border deal to give $1.37 billion for fencing, will Trump sign? President Donald Trump says he's "not happy" with the Congressional border deal that would keep the government open past Friday. The deal, in principle, was agreed to late last night by the bipartisan group of lawmakers from the House and Senate, but will need the president's signature. They've reached a deal to keep the government open, but the president says, "I'm not happy about it. It's not doing the trick... I can tell you, am I happy at first glance? I just got to see it. The answer is no. I'm not. I'm not happy". 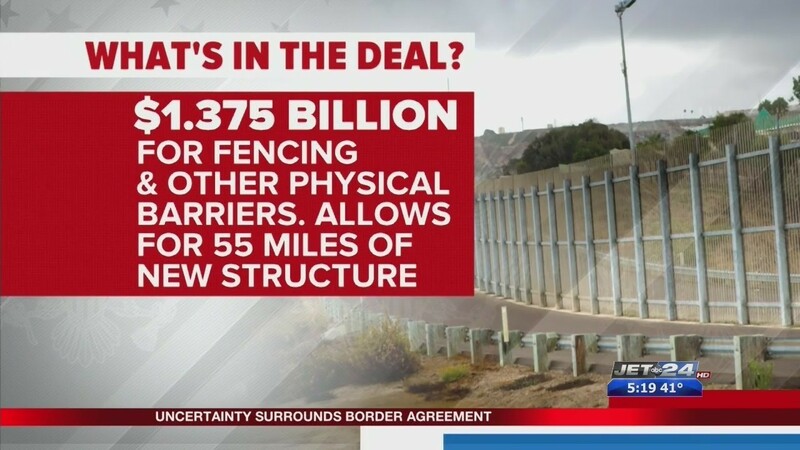 The agreement would provide just $1.37 billion for fencing and other physical barriers; that's more than $4 billion below the president's demand. And, would provide funding for 55 miles of new fencing, but limits the design to currently existing structures; meaning those prototypes are a no-go.